What does it take to motivate students to learn Mandarin Chinese? In an increasingly globalised world this question is finding more importance as Australia-Asia trade links and cultural exchanges increase. Language teacher educator Dr Helena Sit is investigating what it takes to engage and inspire non-Chinese heritage high school students to study the complicated language of the world’s most populous country. As a lecturer and researcher in second language education Dr Helena Sit brings a wealth of knowledge to the field. 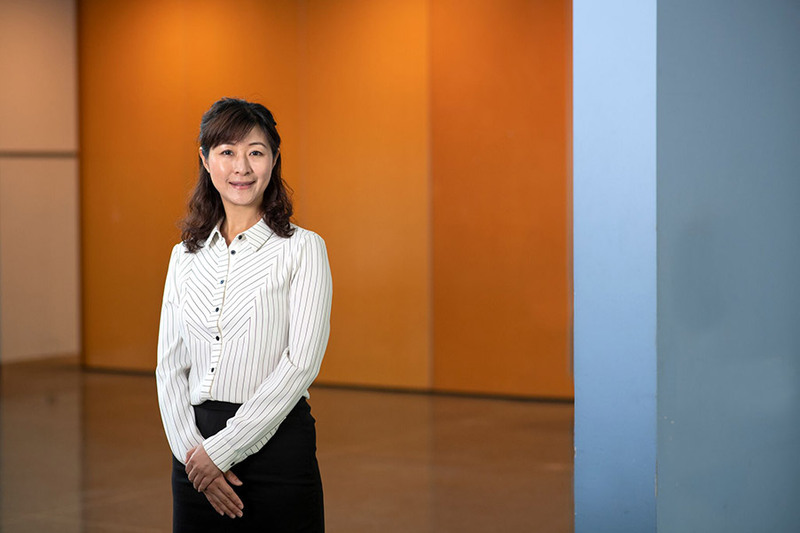 Having grown up in mainland China and received second language education research training in both Hong Kong and Australia, the native Chinese speaker knows first-hand the challenges faced by those learning a second language. Her research confirms these challenges but also sets out to find solutions to the obstacles faced by students learning a second language. She says one of her most important tasks as a scholar is to prepare students for careers in a rapidly changing and increasingly globalised workforce, where bilingualism or multilingualism is highly valued. “Language teaching should be dynamic in order for students to be motivated to stick with the language and become bilingual. I’m eager to innovate teaching programs along with stakeholders to facilitate the education of students learning Chinese,” Dr Sit said. One of her research foci now is on a project based at Newcastle Grammar School. It is one of the oldest traditional private schools in New South Wales and in 2017 they began to offer Chinese language classes to high school students. Dr Sit’s research at the school focuses on the strategies needed for teaching and motivating secondary students to learn Chinese. “In stage one of the project we investigated the experiences, perceptions and attitudes of students learning Chinese. We also asked the students about their reasons for choosing Chinese as an elective,” she said. “We found that almost all the Newcastle Grammar School students were of non-Chinese heritage and they wanted to learn Chinese for future use for their careers or for travel. They definitely saw the benefits in learning Chinese, it wasn’t just their parents influencing their decision, though that did come into it partly,” Dr Sit said. Stage two of the research project aims to identify effective teaching methods to enhance the learning of Chinese at the school. “The students at Newcastle Grammar School are very lucky to be benefitting from a very experienced Chinese language teacher who uses a lot of motivational strategies, which has resulted in more than half the students being very positive about wanting to continue on with learning Chinese into the Higher School Certificate. The students feel being greatly supported by their School, Principal and Head Teacher has facilitated their LOTE (Languages Other Than English) learning experiences at Newcastle Grammar” Dr Sit said. Dr Sit observes the students and teacher interactions and closely watches the student’s responses to see what strategies are effective in motivating the class. She has found that students perform best when the teacher creates a very lively and interactive lesson and learning environment. “We found that hands on activities like worksheets, singing or drawing are effective strategies. Similarly, talking to the students about Chinese festivals, imparting basic knowledge through story-telling and giving them opportunities to dress up and taste Chinese cuisine are fantastic ways to enhance the student’s learning. Using online and digital resources also helps engage students with Chinese language literature to enhance their appreciation of literary styles. Our research shows that the students really appreciate the level of effort their teacher goes to,” Dr Sit noted. But why do today’s students need motivation to learn Chinese? Current research figures show that second language learning in Australia is in rapid decline and that most students don’t choose to study a second language after year ten. Recent figures released by Australia-China Relations institute (ACRI) show a severe decline in L2 Chinese learning in Australia that only 0.1 percent (or 4,149 out of 3,694,101) of Australian secondary students took Year 12 Chinese in 2015. Of which, less than 400 were of non-Chinese backgrounds. Dr Sit says the Melbourne Declaration on Educational Goals for Young Australians emphasises that young Australians need to be “Asia literate, engaging and building strong relationships with Asia” and able “to relate to and communicate across cultures, especially the cultures and countries of Asia” (Ministerial Council on Education, Employment, Training and Youth Affairs, 2008, p.4). “Therefore, Chinese language teaching and learning is greatly promoted in the climate under which the nationally agreed goals for schooling are made in Australia to respond to the need to encourage and enable Australian citizens for a life closely intertwined with the Asian context,” she said. “Mandarin Chinese has been identified as a must-have language for learners from kindergarten to university within and beyond the Asia-Pacific region (McLaren, 2011). In a nutshell, there is an urgent need for Australian schools to boost the number of students learning Chinese, especially those who are non-Chinese background learners,” Dr Sit concluded. Add to this the high level of difficulty and complicated nature of the Chinese language where students need to memorise hundreds of characters and you can see why research is needed to find strategies to motivate Chinese learners. “There are a few distinct groups of students in Australia who are learning Chinese. Those born in Australia that have a Chinese heritage and their parents speak Chinese. Then there are those with a Chinese background but whose parents don’t speak Chinese; and those from a non-Chinese background. In terms of ongoing Chinese language learners it’s the group of non-Chinese heritage students that has seen the most decline,” Dr Sit said. “Given that Australia has increasingly close trade and cultural links to Asia it’s interesting that many students still choose to learn French or German at high school. As China's role in our economic and strategic future continues to grow, we need a deeper capacity to engage with it on a linguistic and cultural level playing field. If we equip our high schoolers with the right strategies to learning Chinese then they will stick with the language for longer, potentially opening up a multitude of career opportunities, not only in Asia, but in Australia where the number of Chinese tourists is increasing,” Dr Sit added. Dr Sit says while high school language learners are declining, there is a tendency now at the University level for students to combine majors with the Chinese language. “Popular majors such as business, communication, law and psychology can be combined with Chinese language studies at several Australian institutions. These majors are very attractive to both domestic and international students and this indicates a new trend in studying Chinese for a special purpose, which aligns with the National Research Priority goal that Australian institutions and teachers should enhance student’s capacity to engage with the regional and global environment. For example, there is a Practical Business Chinese course being offered at UoN” she said. With a personal background and special interest in the field, Dr Sit is excited to be working and teaching in Australia and is glad to contribute her knowledge and expertise to the field of second language education. “For me I really need to understand how the Australian teachers teach Chinese language in an Australian context and how students respond to this learning. This has got both pedagogical and curriculum implications for language education research in Australia. The kind of research I’m currently doing gives me a chance to get the empirical evidence needed to support second language curriculum design, implementation and development, in the hope of proposing an effective pedagogical model of Chinese language teaching and learning in Australia,” she concluded. I received my Bachelor's degree in English (First Class Honours) at Yunnan Normal University which is conceived in the National Southwest Associated University in China. I got an MEd in TESOL and a PhD degree in Education at the University of Newcastle, Australia. In 2011, I won the university annual award of best PhD thesis in Faculty of Education and Arts and my PhD thesis was also nominated by the University of Newcastle for the 2011 AARE (Australian Association of Research in Education) Doctoral Award. Currently I am a Senior Lecturer in School of Education, the University of Newcastle. Prior to joining the University of Newcastle in 2016, I worked as a Lecturer in Academic Development (Higher Education) at Macquarie University and an academic at the University of Newcastle and the University of Hong Kong. My tertiary working experience started in the University of Hong Kong where the Hong Kong government funded research projects that I was involved in were related to school-based projects on genre-based pedagogy and innovation of bilingual education (English and Chinese). I then extended both of my teaching and research experience at the University of Newcastle as a PhD candidate and a casual academic/research associate and later at Macquarie University as a lecturer. I lecture EDUC6025 TESOL Curriculum and Methodology and EDUC6124 English for Special Purpose as part of the units in the Master of Educational Studies (TESOL) and am currently involved in co-teaching Multiliteracies at undergraduate level. My research expertise includes Second Language Education, International Education, Cross-cultural Studies, and Teaching Strategies for Advanced English Learners. Being as a co-supervisor, I have about 8 current PhD students (from Vietnam, China, Indonesia and Australia) who are working in the areas of ESL/EFL teacher education. I have also been involving in projects on second language education (English and Chinese), cross-cultural learning and teaching, internationalisation, cultural diversity and inclusivity. Previous projects include language education (English and Chinese), discourse analysis and international education. The rapid growth of economic globalization has resulted in a fastening pace of internationalisation of higher education in Hong Kong. Since the hand-over in 1997, Hong Kong&apos;s universities have been attracting an increasing number of Mainland students to undertake English studies. In spite of a remarkable social change and close connections to the Chinese education system, Hong Kong has still more or less maintained a British-style higher education system which is reflected in the fact that English-medium education and Western-oriented pedagogy are widely accepted. Research has been conducted on both local Hong Kong and Mainland students&apos; strategies of learning English, but limited research is concerned with lecturers&apos; pedagogical practices in teaching disciplinary studies of English, although language teaching methods for Special Purposes in Hong Kong have long been discussed. This study attempted to identify teaching strategies used in the English Department at a university in Hong Kong. Both quantitative and qualitative research methods were used. The findings revealed various teaching strategies and elicited responses from the two sub-cultural groups of students. The study focused on the students&apos; views on higher education in Hong Kong and therefore it should make a potential contribution to the enhancement of teaching and learning at most institutions in Hong Kong. It is also of significance to quality learning and teaching in universities other than those in Hong Kong in the context of internationalization. © Common Ground, Herli Salim.